Sometimes data raises more questions than it answers. The study, based on data from the Visa card network, indicated that typical household gained about $1,150 in terms of convenience and expanded choice by shopping online in 2017, when the Internet accounted for about 8 percent of all consumer spending. 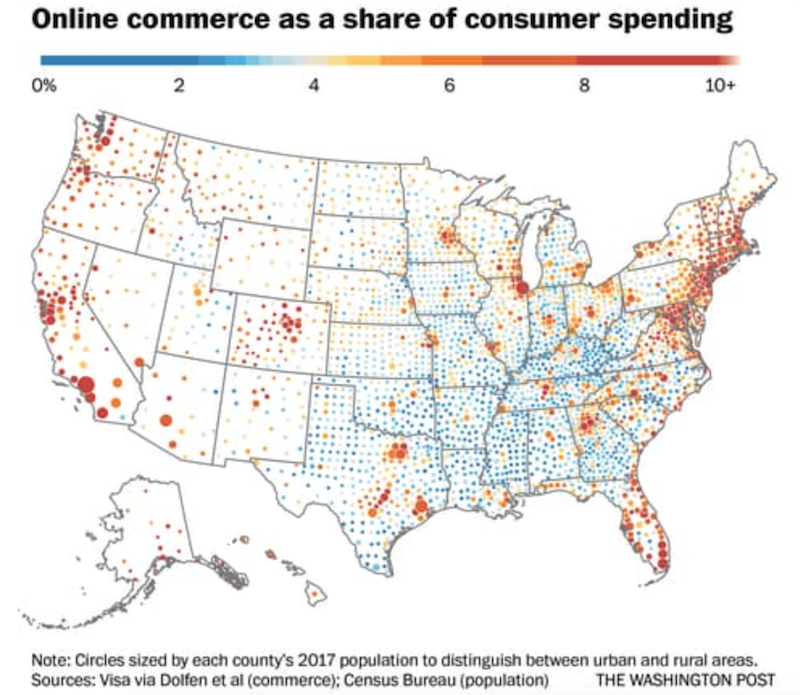 Given urban area access to more retailers than sparsely populated areas, it might have been posited that those areas would spend a larger portion of their purchases online. There’s an interesting question still waiting for data to address it.